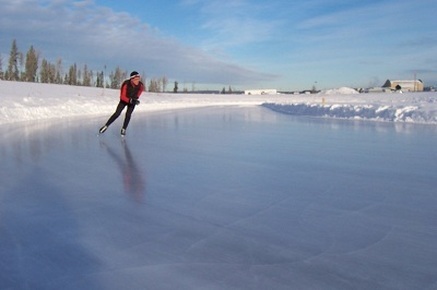 The Prince George Outdoor Ice Oval is a 400-metre long track speed skating facility made with natural ice. 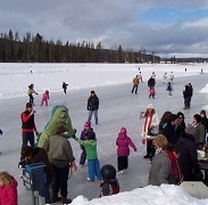 The oval is maintained by the Outdoor Ice Oval Society of Prince George (OIOS of PG) with the support of the City of Prince George. The hours of operation, facility and ice rules, and current conditions are posted on this website. As with all natural outdoor ice surfaces the condition and quality of the ice at the oval is weather dependent.